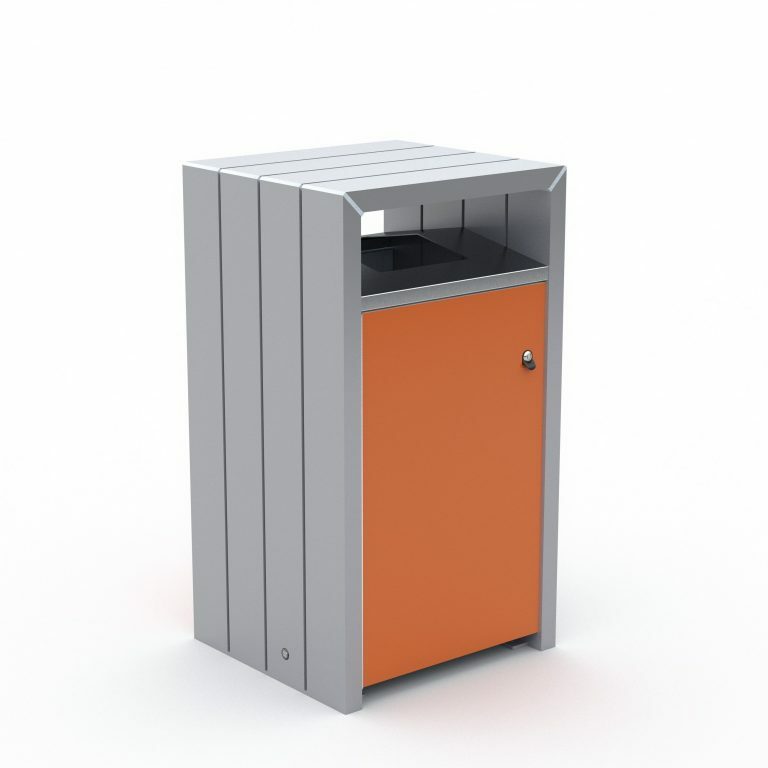 'URBAN EDGE' street furniture and park furniture - Litter Bin Enclosure for one x 120 litre wheelie bin. Frame - clear anodised aluminium. Powder coated aluminium door and back panel. Stainless steel litter entry surround. 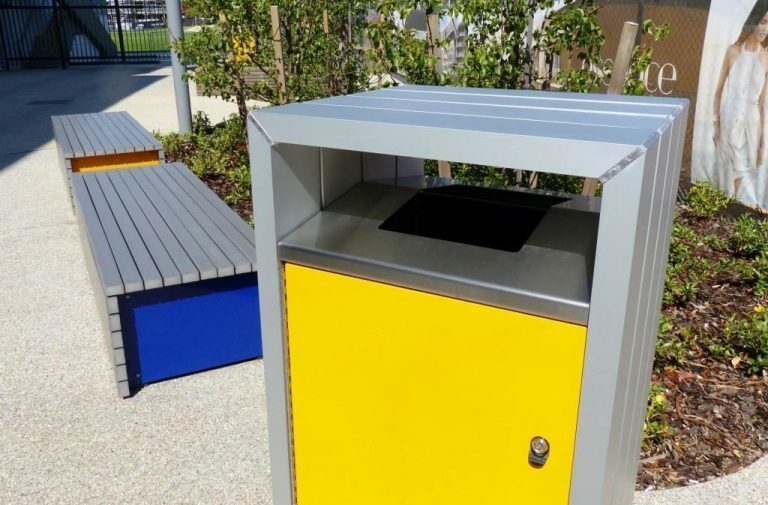 Optional stainless steel 'lift-to-empty' ashtray. Signage or other graphics can be applied using client's artwork. 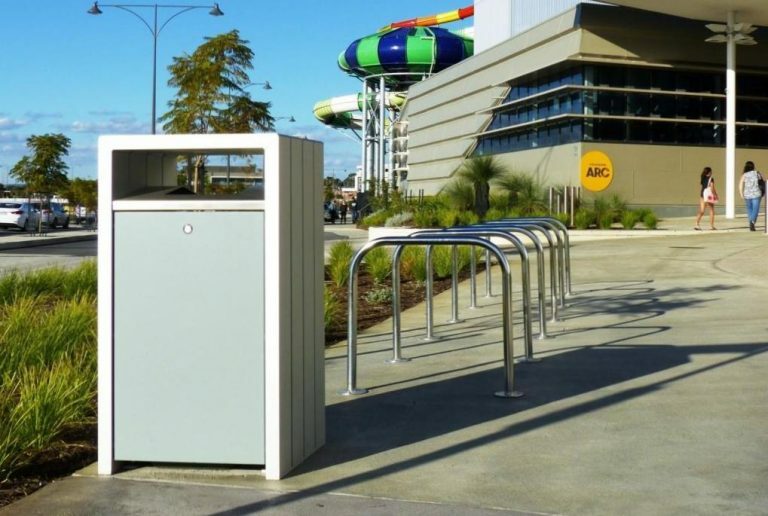 Mobile garbage bin is not included.